Fostering entrepreneurs, building a stronger economy. The Launch Place strives to foster an environment for new and serial entrepreneurs to raise capital and garner the support system needed to take their products and/or solutions into the market place. By doing so, The Launch Place has positioned the Danville City and Pittsylvania County region of Virginia and Caswell County in North Carolina, to become once again a hub for innovation. For decades, the Danville region was bustling in tobacco, textiles, and furniture manufacturing, but as those industries declined, the region’s economy suffered. Yet what made the Dan River Region unique for so many years is still here and relevant today - the warehouses, transportation corridors, and central location and, let’s not forget, visionaries, from both the private and public sectors. The Danville Regional Foundation understood this and in 2012 awarded The Launch Place $10 million grant to help foster an environment of entrepreneurship and innovation with the goal to build a stronger local and regional economy. Out of $10 million, a $5 million seed fund was established to invest in start-ups and serial entrepreneurs. The Launch Place has been granted additional funding from the Danville Regional Foundation to establish Pre-Seed Fund II and Seed Fund II that launched in July 2018. Our goal with these new Funds is to further develop an “idea-based entrepreneurship ecosystem” in the Dan River Region resulting in innovation, job creation, and ultimately transformation to the new technology-based economy. These funds totaling $11 million will allow us to continue to invest in innovative, high-growth, technology companies and continue offering wrap-around services to start-up companies during the next 5-years. 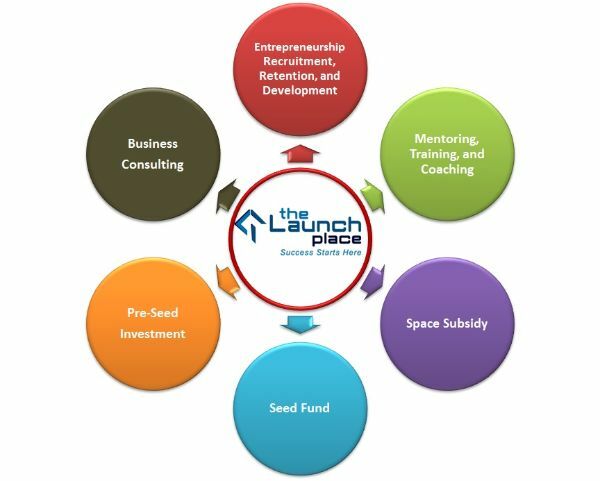 With this DRF investment, The Launch Place looks for investment opportunities and offers a full menu of services for entrepreneurs to be successful in its office locations in Danville, Virginia and the Research Triangle Park, North Carolina. The Launch Place strives to follow the principles of diversity and inclusion. Our Board of Directors and staff reflect the many faces, cultures and backgrounds that make up our personal and professional lives. Looking to plan, fund, launch, and grow a business? If yes, contact us today.